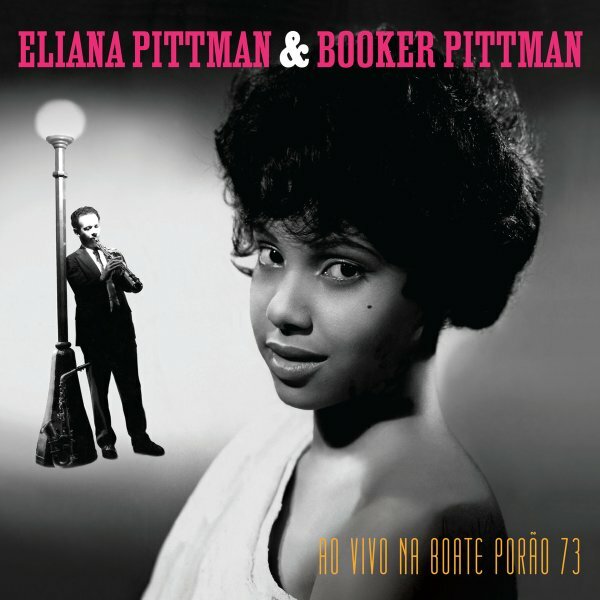 Vintage live material from the duo of singer Eliana Pittman and saxophonist Booker Pittman – one of the cooler musical pairs in Brazil during the 60s! Pittman plays soprano sax in a way that's worth the price of admission alone – steeped in the older sounds of the Sidney Bechet generation, but also with some knowledge of more modern styles from the 50s onwards – in a way that gives him a really nice edge, even when things seem as if they might be familiar! And Booker also sings a bit too – in this raspy style that's very warm and compelling, but which maybe also gets eclipsed by the really fantastic vocals of Eliana Pittman – one of the more soulful samba vocalists of the period, but also working here in a jazz-based mode too – which is a nice change from some of her other albums with Booker. The set's a live one – recorded at the club Porao 73 in 1976 – and titles include "Tristeza", "St Louis Blues", "Joshua Fit The Battle Of Jericho", "Hello Dolly", and "Summertime/Stormy Weather/You're Nobody Till Somebody Loves You". © 1996-2019, Dusty Groove, Inc.